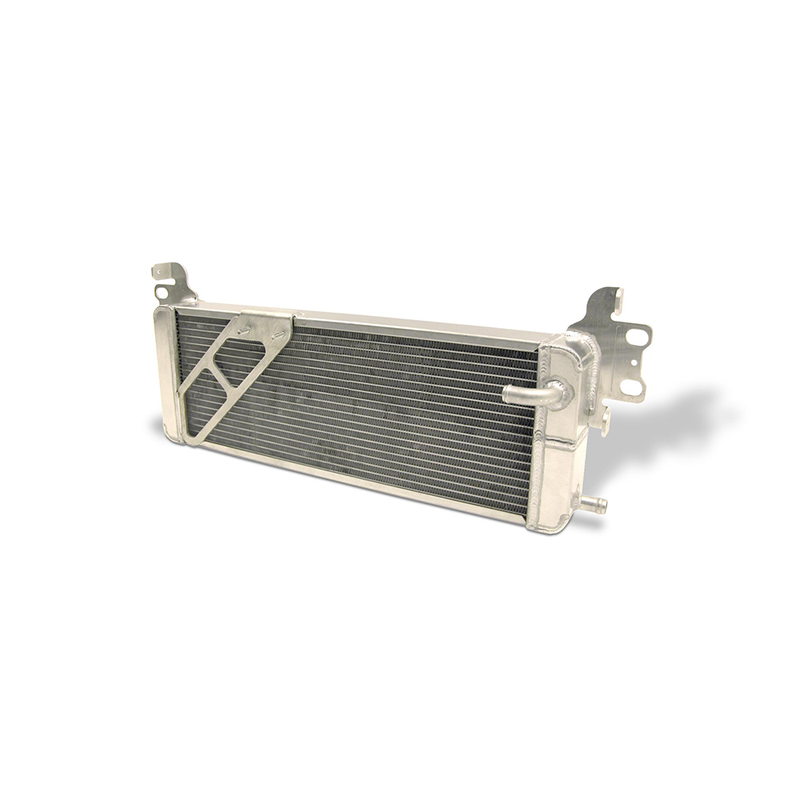 AFCO double pass heat exchanger for '07-'12 Mustang Shelby GT500. This unit is 26 1/4" W x 9" T. It is an easy bolt-on installation and includes all necessary hardware and includes hoses and an installation manual. 2007 2008 2009 2010 2011 2012 Mustang Shelby GT500 5.4L 330 Roush Saleen Vehicles. No one else can stack up to the bold clean styling of our aftermarket Billet dress ups, Street Strip & Racing Suspension & Performance Parts for your late model American Muscle Car!